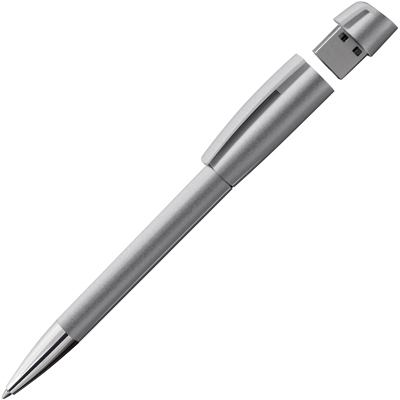 Model:TPC552106 KLIO ETERNA TURNUS M USB METALLIC PEN Description: With a real metal nose cone, from only 100 pieces the barrel can be supplied in a special 'metallic' finish taken from the automotive industry - extremely tactile! Pen includes a USB memory stick with a minimum memory size of 4GB. Colour Options: Metallic Product Data Specification Product Size 142 x 8 mm dia Product Weight0.015 Ink Colours If Applicable Black,Bue Additional Information Price includes 1 colour print to 1 position only. Set up and carriage are additional. Lead Times 4 weeks from artwork approval Personalisation Data Max Personalisation Pad/Screen Print Area 40 x 20 mm (barrel), 30 x 6 mm (clip) Engraving Area Full Colour Area N/A Embroided Area N/A Max Spot Colours N/A Foil Block Embossing N/A Notes Price includes a 1 colour print to 1 position. Set up and carriage are additional. Model:TPC640101 SUNTRAP MODEL - ROCKET USB PEN Description: Twist action ball pen with rubberised grip for comfort when writing. Detachable USB hidden at the top of the pen. Colour Options: Black, Blue,Light Green, Orange, Red, White, Yellow Product Data Specification Product Size 134 x 16 mm dia Product Weight0.018 Ink Colours If Applicable black or blue Additional Information Price includes 1 colour print to 1 position only. Set up and carriage are additional. Lead Times 4-5 weeks from approval of artwork Personalisation Data Max Personalisation Pad/Screen Print Area 20 x 5 mm (clip, 25 x 10 mm (USB) Engraving Area N/A Full Colour Area N/A Embroided Area N/A Max Spot Colours N/A Foil Block Embossing N/A Notes Price includes a 1 colour print to 1 position. Set up and carriage are additional. Model:TPC552103 TURNUS M USB SOLID PEN Description: With a real metal nose cone, from only 100 pieces the 3 plastic parts can be made up from 16 solid colours and includes a USB memory stick with a minimum memory size of 4GB. Contains the newly developed 'Silktech' refo;; made in the Klio factory in either black or blue. Colour Options: 16 Product Data Specification Product Size 142 x 8 mm dia Product Weight0.015 Ink Colours If Applicable Black,Bue Additional Information Price includes 1 colour print to 1 position only. Set up and carriage are additional. Lead Times 4 weeks from artwork approval Personalisation Data Max Personalisation Pad/Screen Print Area 40 x 20 mm (barrel), 30 x 6 mm (clip) Engraving Area Full Colour Area N/A Embroided Area N/A Max Spot Colours N/A Foil Block Embossing N/A Notes Price includes a 1 colour print to 1 position. Set up and carriage are additional. Model:TPC552104 TURNUS M USB TRANS PEN Description: With a real metal nose cone, from only 100 pieces the 3 plastic parts can be made up from 14 transparent colours and includes a USB memory stick with a minimum memory size of 4GB. Contains the newly developed 'Silktech' refo;; made in the Klio factory in either black or blue. Colour Options: 14 Product Data Specification Product Size 142 x 8 mm dia Product Weight0.015 Ink Colours If Applicable Black,Bue Additional Information Price includes 1 colour print to 1 position only. Set up and carriage are additional. Lead Times 4 weeks from artwork approval Personalisation Data Max Personalisation Pad/Screen Print Area 40 x 20 mm (barrel), 30 x 6 mm (clip) Engraving Area Full Colour Area N/A Embroided Area N/A Max Spot Colours N/A Foil Block Embossing N/A Notes Price includes a 1 colour print to 1 position. Set up and carriage are additional. 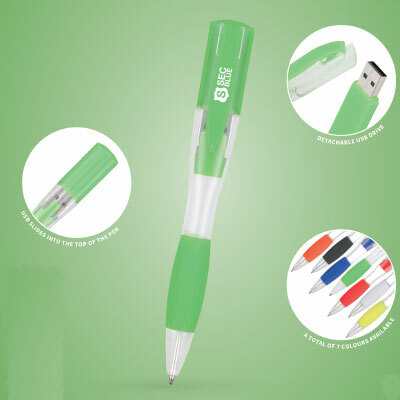 Model:TPC552101 TURNUS USB SOLID PEN Description: From only 100 pieces the 4 plastic parts can be made up from 16 solid colours and includes a s USB memory stick with a minimum memory size of 4GB. Contains the newly developed 'Silktech' refill made in the Klio factory in either black or blue ink. Colour Options: 16 Product Data Specification Product Size 142 x 8 mm dia Product Weight0.012 Ink Colours If Applicable Black,Bue Additional Information Price includes 1 colour print to 1 position only. Set up and carriage are additional. Lead Times 4 weeks from artwork approval Personalisation Data Max Personalisation Pad/Screen Print Area 40 x 20 mm (barrel), 30 x 6 mm (clip) Engraving Area Full Colour Area N/A Embroided Area N/A Max Spot Colours N/A Foil Block Embossing N/A Notes Price includes a 1 colour print to 1 position. Set up and carriage are additional. Model:TPC552102 TURNUS USB TRANS PEN Description: From only 100 pieces the 4 plastic parts can be made up from 16 transparent colours and includes a s USB memory stick with a minimum memory size of 4GB. Contains the newly developed 'Silktech' refill made in the Klio factory in either black or blue ink. Colour Options: 14 Product Data Specification Product Size 142 x 8 mm dia Product Weight0.012 Ink Colours If Applicable Black,Bue Additional Information Price includes 1 colour print to 1 position only. Set up and carriage are additional. Lead Times 4 weeks from artwork approval Personalisation Data Max Personalisation Pad/Screen Print Area 40 x 20 mm (barrel), 30 x 6 mm (clip) Engraving Area Full Colour Area N/A Embroided Area N/A Max Spot Colours N/A Foil Block Embossing N/A Notes Price includes a 1 colour print to 1 position. Set up and carriage are additional.